Customers can browse this Online Manual on both PC&apos;s and Smart Phones. Please visit the below website or, simply scan the 2D code displayed in this section. 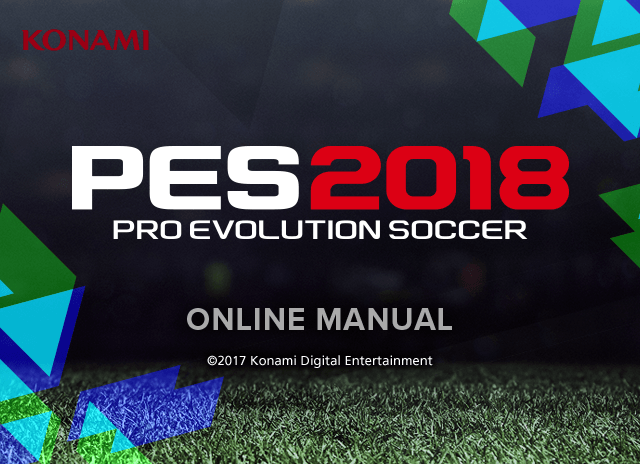 Thank you for purchasing PES 2018 from KONAMI. Please read this manual thoroughly before playing the game. The content in this manual may be changed or added to by future updates. The Sony Entertainment Network Terms of Service and User Agreement (http://legaldoc.dl.playstation.net/ps4-eula/psn/e/e_tosua_en.html) will be applied when customers choose to use any of the game&apos;s online features. PRECAUTIONS - This game disc contains software for the PlayStation®3 system (PS4™) and conforms to PS4™ specifi cations for the PAL market only. Carefully read the Safety Guide for the PS4™ to ensure correct usage and storage of this game disc. HEALTH WARNING - Always play in a well lit environment. Take regular breaks, 15 minutes every hour. Discontinue playing if you experience dizziness, nausea, fatigue or have a headache. Some individuals are sensitive to fl ashing or fl ickering lights or geometric shapes and patterns, may have an undetected epileptic condition and may experience epileptic seizures when watching television or playing videogames. Consult your doctor before playing videogames if you have an epileptic condition and immediately should you experience any of the following symptoms whilst playing: altered vision, muscle twitching, other involuntary movement, loss of awareness, confusion and/or convulsions. 3D HEALTH WARNING - Some people may experience discomfort (such as eye strain, eye fatigue or nausea) while watching 3D video images or playing stereoscopic 3D games on 3D televisions. If you experience such discomfort you should immediately discontinue use of your television until the discomfort subsides. Generally we recommend that you avoid prolonged use of your PS4™ system and take 15 minute breaks during each hour of play. However, when playing stereoscopic 3D games or watching 3D video, the length and frequency of necessary breaks may vary from person to person - please take breaks that are long enough to allow any feelings of discomfort to subside. If symptoms persist, consult your doctor. The vision of young children (especially those under six years old) is still under development. We recommend that you consult with your child’s doctor or optometrist before allowing young children to watch 3D video images or play stereoscopic 3D games. Adults should supervise young children to ensure they follow the recommendations listed above. PIRACY - The use of PS4™ and PS4™ game discs are governed by software licence. The PS4™ and the PS4™ game discs contain technical protection mechanisms designed to prevent the unauthorised reproduction of the copyright works present on the PS4™ game discs.  The unauthorised use of registered trademarks or the unauthorised reproduction of copyright works by circumventing these mechanisms or otherwise is prohibited by law. If you have any information about pirate product or methods used to circumvent our technical protection measures please email anti-piracy@eu.playstation.com or call your local Customer Service number. *The players of the Japan National Team featured in this game are based on the squads registered for the international matches during October 2016 to March 2017. Their parameters have been determined and set by KONAMI. The starting lineups are based on the international match against Thailand held in 28th May 2017. * The shirt numbers may be different from those played under in real life. * The players&apos; ages are calculated based on the end of 2017.